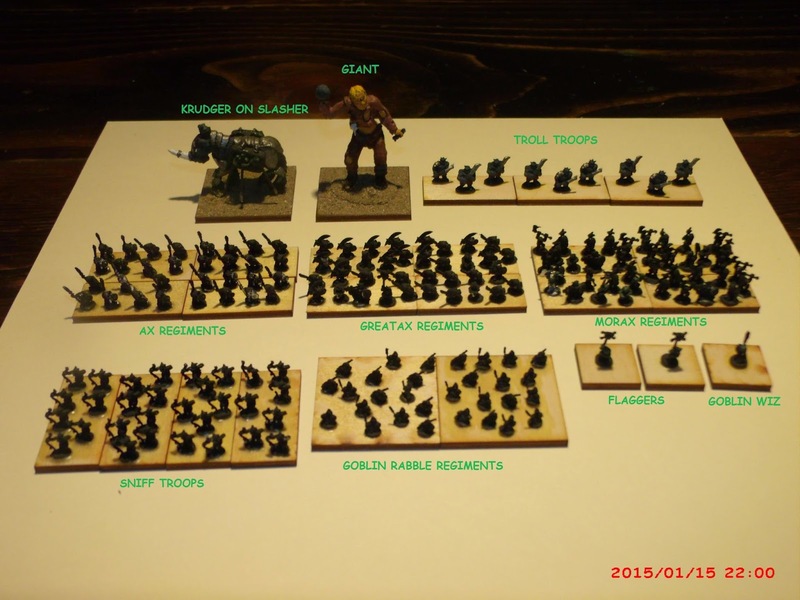 And facing off against the Kings of War 6mm Elf Army is this semi-combined Orc and Goblin army. Still a long way to go with painting, basing, etc. All in due time. As for gaming, I played a straight battle against my kids a couple months back using these Microworld Games armies and Kings of War for the ruleset. I believe the army points were approximately 1500 points each. From what I recall, the rules were picked up fairly easily by the elder two kids. Need to schedule in a rematch, this time with pictures. Then again, with Kings of War version 2.0 in the works, there is no rush. Might need to re-point the army lists and such.